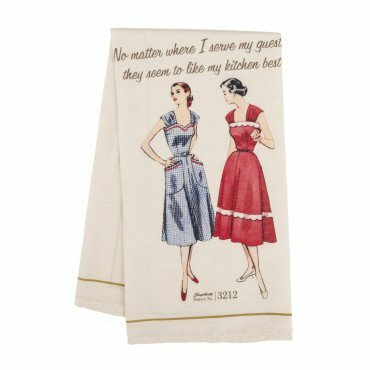 This tea towel is designed with vintage Simplicity designs and features a whimsical sentiment. Perfect as a collectors' item or as a gift. Measures approx. 21.75" x 28".